You are currently browsing the tag archive for the ‘Ronaldo’ tag. Ronaldo woke up in UK today on his first full day in what promises to be a year-long business sabbatical at advertising firm WPP. One of three men organizing the 2014 World Cup and June’s Confederations Cup warm up competition, he leaves at an inopportune time. Stadiums are late, infrastructure isn’t being built fast enough and the budget is rising. And yet they haven’t. Why Ronaldo, who is one of those charged with making sure the tournament runs smoothly, is taking leave of his position right now makes no sense to me. FIFA says he is an unpaid volunteer and that he will be returning to Brazil whenever his presence is needed at events. The fact is, however, it is one more sign of Brazil’s lack of seriousness. If you assume a position organising a major tournament like the World Cup, you should devote yourself to the task, not do it when it suits you. Ronaldo’s departure on the eve of the Confederations Cup, with stadiums still not ready four months past the initial deadline, and public transportation projects so far behind schedule they probably won’t happen before June 2014, sends a clear signal to the world. The signal is that Brazil isn’t taking this seriously. FIFA, Brazilians and the 2014 World Cup: Who’s Doing What For Who, Ronaldo? The most amazing moment of last night’s Ballon d’Or ceremony came before the winner was announced or even before the play button was pressed and the big screen lit up with the brilliance of Messi, Cristiano Ronaldo and Iniesta. Now Ronaldo is one of the best known and most beloved people in Brazil. He’s one of the greatest football players of all time. And he leads Brazil’s 2014 World Cup preparation as a member of the Local Organising Committee. But when he comes out with comments like that you have to ask if the big man has put his commitment to FIFA ahead of his loyalty to Brazil. I can’t really think of anything that FIFA is doing for the Brazilian population that doesn’t come with a quid pro quo or a major down side. In fact, it’s exactly the other way around. Brazilians are bending over backwards to help FIFA. I could explain exactly why but I’ll leave it to Christopher Gaffney, who put it much more succinctly than I could in his always excellent Hunting White Elephants blog. A few years ago, Time magazine had me call Socrates to ask him if he would pen a short piece on Kaka. The magazine’s editors – perhaps the same ones who suggested last month that Lionel Messi was better than Pele – had chosen Kaka as one of the 100 most influential people on the planet and they wanted Socrates to write an eulogy. Socrates had one question for me. Is this about Kaka the footballer or Kaka the man, he asked. Kaka, the man, I replied. To my delight, Socrates dismissed the idea out of hand. He had great respect for Kaka with a ball at his feet but not with a bible in his hand. Time got Casey Keller to write the piece instead. I thought of this last night when I saw that Neymar had described Ricardo Teixeira as “an excellent president” of the CBF. The young Santos star made the comments on the same day that Edmundo declared that he “loved” Ricardo Teixeira and a few days after Ronaldo and Bebeto both lauded Teixeira’s work. 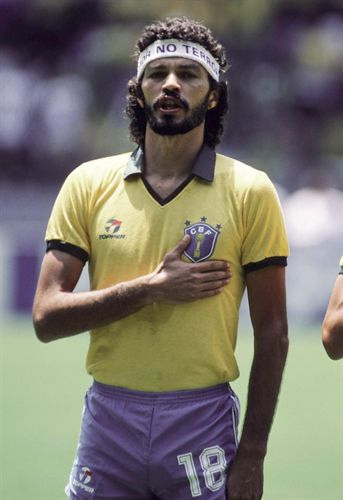 Socrates was not just a brilliant footballer. He was an intelligent and highly principled man who fought hard so that players like Neymar could have more of a voice, both inside and outside the game. He must be rolling in his grave. 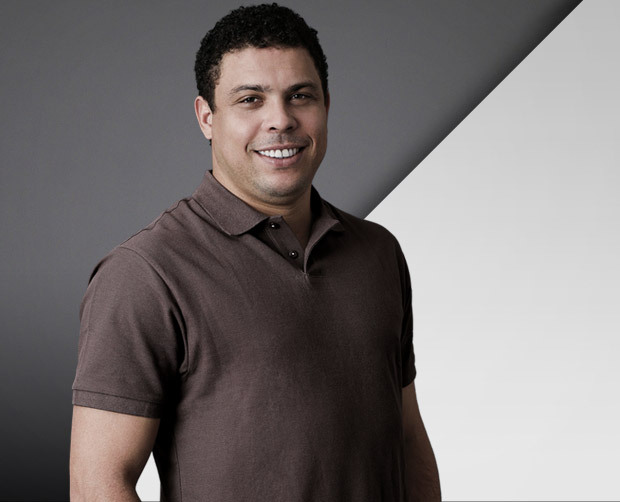 Former World Cup winning striker Bebeto yesterday joined Ronaldo on the committee that is organising the 2014 World Cup. Why he was chosen for the job was not explained. What is clear is that there are now two former players with little organising experience preparing Brazil to host one of the biggest sporting events on the globe. It’s an odd decision to put it mildly. The selection of a first time state deputy to one of football’s big jobs is also interesting for the way it pits Bebeto against his former strike partner Romario. The deadly duo led Brazil to World Cup glory in 1994 and were famous for this celebration (above right), after Bebeto scored in the epic quarter final win over Holland. Bebeto made the famous gesture to celebrate the birth of his daughter, born shortly before the match. Now, the two men will be at odds. Bebeto backed Ricardo Teixeira, the controversial CBF chief who hired him, while Romario has been one of Teixeira’s most outspoken critics. Romario blames Teixeira for the terrible way Brazil has prepared for the tournament. Stadiums were slow to get started and are over budget and infrastructure, particularly airports, is a mess. It will be interesting to see if the two strikers, not to mention Ronaldo, who appears dreadfully unaware politically, will clash in their new roles. I don’t follow any particular team in São Paulo but I have always admired Corinthians, thanks largely to their supporters. Corinthians fans are widely viewed as the most fanatical in the country and they get behind their team through thick and thin. I lost a bit of that respect last week and not because a few fans went berserk and destroyed players’ cars after the team was knocked out of the Libertadores at the preliminary stage to unknown Colombian side Tolima. Instead, I wondered what it took them so long to vent their frustrations. The fans last week focused their ire on Ronaldo. Ronaldo is slow, overweight and a shadow of the player he once was. He was woeful in last Wednesday’s 2-0 reverse. But Ronaldo has been taking the mickey out of Corinthians for the best part of a year now and Corinthians fans said nothing. They even voted him one of the club’s all time great players last year, which was a cringe worthy exercise in sycophancy. Ronaldo has played just 69 times for Corinthians over the last two years, and he did not play the whole 90 minutes in the vast majority of them. He appeared in just 11 of Corinthians 38 Brazilian league matches last year. In contrast, Roberto Carlos, who has been on the club’s books a year less than Ronaldo, has played almost the same number of games and impressed with his professionalism and willingness to buckle down and play for the jersey. Why has Ronaldo played so little? Why is he still so overweight? And why isn’t the club demanding more of him? 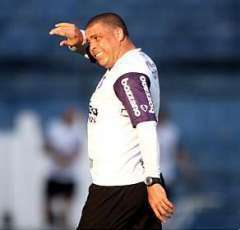 Corinthians President Andres Sanchez is an astute man and said “Ronaldo wasn’t signed to play football.” Indeed, Ronaldo still brings in money to the club through his sponsorship deals. His old injuries no doubt go some way to explaining his inactivity. But his lack of professionalism and commitment is perhaps a larger reason. He’s frequently photographed in nightclubs and on beaches and his rotund photo appears more in the news because of his celebrity friends than for his goals or dribbles. Corinthians fans deserve more and Ronaldo should be ashamed at his behaviour. Football players are human and we all make mistakes. But there’s no excuse for not dedicating yourself 100 % to the job, especially when you are being paid fortunes to do so. With Corinthians out the Libertadores, Ronaldo has nothing to play for now. His retirement, originally scheduled for the end of the year, will likely come sooner. Corinthians fans should demand it. Better late than never.